The region of Swabia was a political territory in the Middle Ages. Today its borders aren't perfectly clear, but it is found partly in the German state of Baden Württemberg, partly in the German state of Bavaria, and even stretches into Austria. Food in Swabia is world renowned and is often described as very hearty and rich in tradition. Recipes have been handed down from generation to generation. They often only include a few ingredients or they are a combination of multiple recipes. 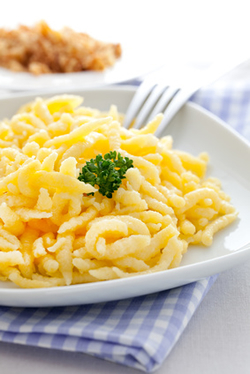 Important in Swabian cooking is pasta (such as Spätzle and Maultaschen). Variations of fresh pasta are served as main dishes as well as side dishes. Either way they are never eaten dry - a hearty sauce, broth, or at least some melted butter is a must! 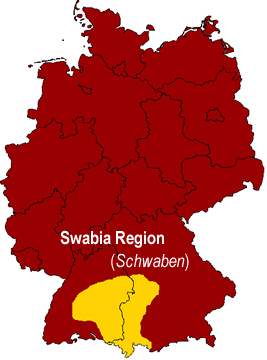 The Swabians are known as "Wet Eaters (Nass-Esser)." Almost every food must be dunked, crumbled, or covered in a sauce or broth. 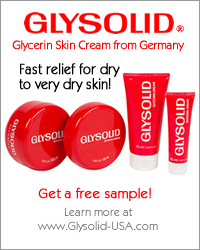 No soup is eaten without bread to dunk; no roast is acceptable without a good covering of sauce. Also loved by the Swabians are soups. There are many variations of soups, many of which include pasta and/or wurst. This love of soup has given them the name "Soup Swabians (Suppenschwaben)." Dishes is Schwaben do not always require cooking. Schwaben offers a large variety of wurst, which are often eaten as cold cuts or made into a salad. This goes well with the large variety of breads also found in the region. A list of popular foods and dishes in Schwaben are listed below.